The Typography Challenge is up! 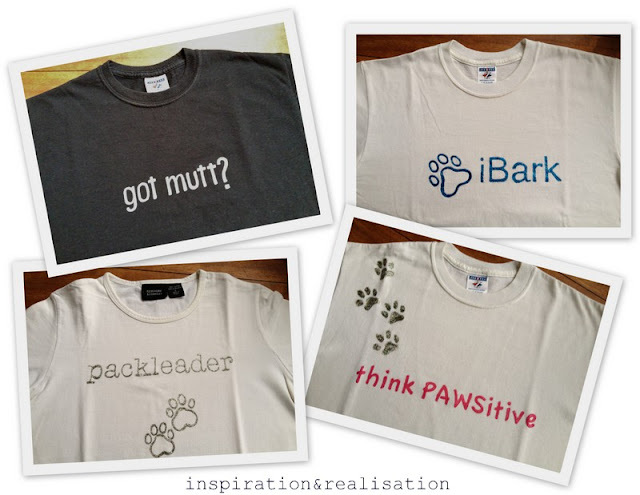 you know that I'm a t-shirt junkie and a dog nuts. and you now know why I had the need to have some dog-shirts. I have other ideas in mind, but these "dog-t-shirts" that I made some time ago were ready and begging to be shown, totally stealing the idea inspired by the great t-shirts at cafepress.com. Each of these t-shirts are available on the cafepress website, for as little as 25$ each. ... Mine turned out about $3. 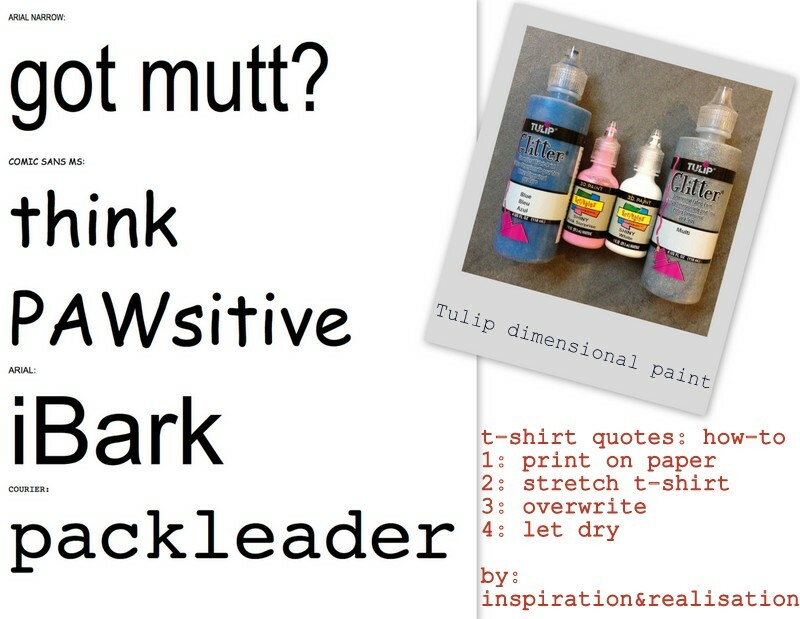 --> for the darker shirts: because overwrite is not a possibility, I used some chalk onto the back of the paper and with the back of a pen I passed over the quote onto my shirt, so I had a clear trace in chalk. Then I painted over the chalk with the fabric paint. 4* let dry and have fun! Thanks for sharing this with others. I was very pleased to find this site. I definitely enjoyed reading every little bit of it.Thanks for sharing this informative blog.